The series boom stand microscope XTW6745 microscope are designed for industrial inspection applications, and offers 6.7X-45X continous magnification. The the boom stand is a strong boom stand that has been a proven workhorse for over ten years. It is ideal for quality control and the daily rigors of industrial use. 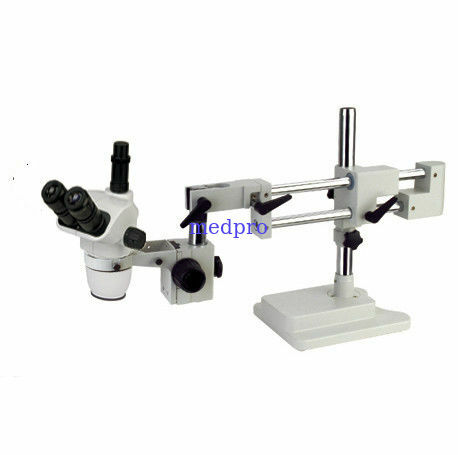 The boom stand allows placement of larger objects beneath the microscope without compromising working room. We specialize in providing high quality boom mounted microscope systems for use in circuit board repair, quality control, and surface mount device work. 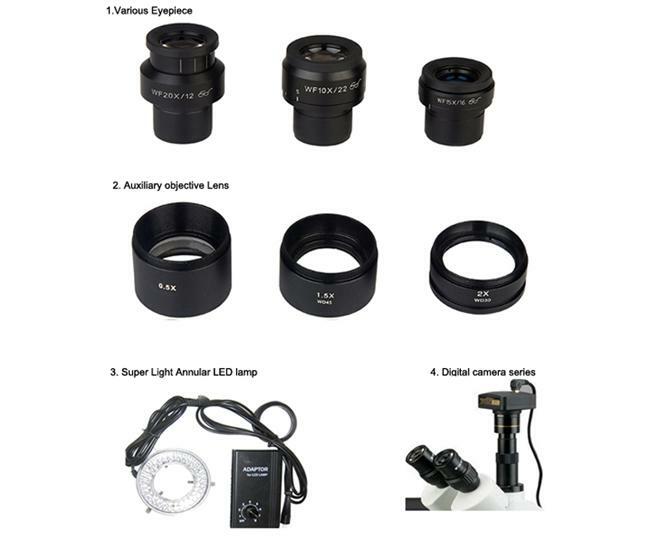 These microscopes are also excellent for engraving, document examination, and many other applications requiring specimen magnification over a large working area.